Always an absolute blast to create artwork for Monotype. This time around, I knew I wanted to go a bit overboard. 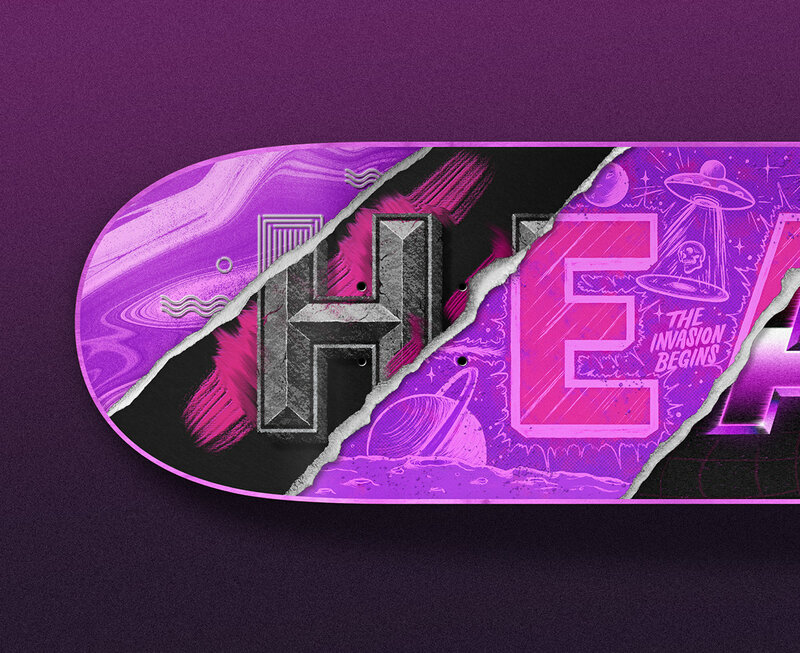 It has been too long since I have designed a skateboard so I took this opportunity to do just that. Putting “Grayfel" to the test, I designed the deck as if it were created by six different artists. 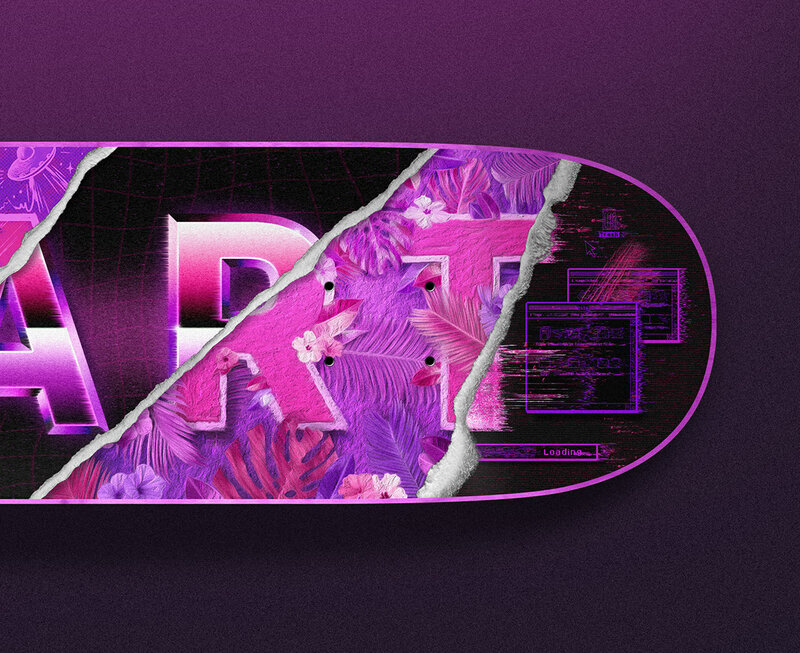 Each piece looking like a unique artist approach to spell out the word, “heart”. This image will be in the Hero Image Archive soon so keep an eye out for that along with many others. Also, recently released was the My Favorite Five series. Check that out if you feel so inclined.